Russian Post is to begin the process of privatization. Following large-scale modernization, the company will consider a potential public offering in 2016-2017. 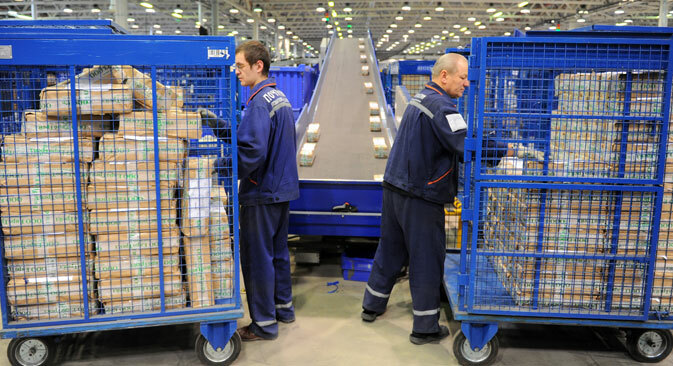 Russia’s Ministry of Communication has submitted a bill to privatize Russian Post (Pochta Rossii), transforming Russia’s mail system into a joint stock company. The new company is to be wholly owned by the Federal Agency for State Property Management, which is the first step toward privatization. Thereafter, the company plans to spend more than 100 billion rubles ($2.8 billion) on modernization. According to Deputy Minister of Communications Mikhail Evraev, the company will conduct an IPO in 2016-2017. According to the text of the bill, Russian Post’s foreign real estate, as well as shares, securities and cash in foreign financial institutions will be included in the privatization list. Following incorporation, a board of directors will be appointed based on input from the government and the presidential administration. Deputy Minister Evraev did not name any specific candidates for the board. The Ministry anticipates that the company will attract a strategic investor following the reorganization, and an IPO should be possible as soon as 2016-2017. Raiffeisenbank senior analyst Natalya Kolupaeva is certain that Russian Post will attract significant interest from investors due to its dominant market position. Since Russian Post has a monopoly in the market for mail services, they’ll maintain their customer base even in a difficult macroeconomic situation and they’ll be able to upgrade their technological infrastructure,” said the analyst. According to the company’s draft strategy (based on the most optimistic forecast), by 2018 Russian Post should be able to double its revenue compared to the 2012 figure to 291 billion rubles ($8.3 billion). The strategy projects a net profit of 19.6 billion rubles ($550 million), with a profit margin of 6.7 percent. During the first three years following privatization, the company plans to spend 100 billion rubles ($2.8 billion) on modernization; the money will come from loans as well as profits from real estate that will become freed up as a result of streamlining company operations. Representatives for Russian Post did not comment on plans for reorganization.